What is the "hole card cam"? What is the definition of the term "hole card camera"? The game of poker has grown in leaps and bounds over the past decade or so. 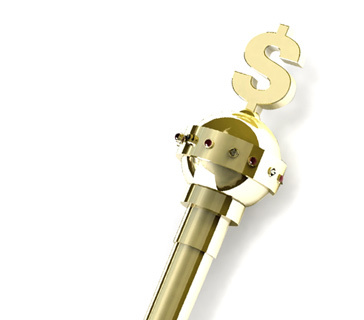 There are a number of reasons for the explosion in popularity of poker - Chris Moneymaker's win at the 2003 World Series of Poker, the invention of online poker and the "hole card cam" would top the list. 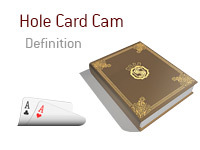 The "hole card cam" is the tiny camera that allows viewers of televised poker to see the "hole cards" of each player at a table. In Texas Hold'em, for instance, the "hole cards" are the two cards that are dealt to each player before the flop. There was a time, believe it or not, when viewers of televised poker wouldn't know what the players were holding until the cards were flipped up. The "hole card cam" allows home viewers to "play along" and imagine what they themselves would do under the circumstances. A player is dealt pocket Kings on the button, but there has already been a raise and re-raise in front of him. Does he fold? Does he go all-in? The invention of the "hole card cam" allows viewers to follow along on hands, and this helped to propel televised poker (and poker in general) to new heights, and make it infinitely more interesting.